Who Remembers Shay'Bo? Well, She's Back! Who Remembers Shay’Bo? Well, She’s Back! During the years of 2010/2011 there seemed to be an influx of rappers who rose to notoriety through youtube, all who seemed to be on a ‘Jetski Wave’ and on that long list of names, one female rapper seemed to stand out, and that was Shay’Bo (Shayon Brown). With a host of videos where you could find the then young MC representing South London through various lyrics, one freestyle of hers stood out amongst the rest, and that was her diss to Chrissy and DeeDee- a truly iconic time in the era of youtube rappers. Now it’s 2017, Sneakbo is one of the only artists from the youtube generation that I can name that remained consitent, and I often found myself wondering ‘Where are they now?’, but for Shay’Bo I have to wonder no more as she seems to be back with a bang, and recently dropped a new freestyle via Blackbox. Proving that she still has her artillery bars and flow to match, this reintroduction to Shay’bo can only fuel the anticipation for what she is to do next. With drill being the current sound of the UK, it’s nice to have a female come through and shut down just as good as the males. 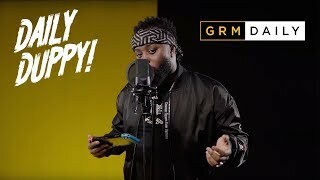 Pree the fire above, and if you’re in the mood for reminiscing, watch Shay’bo’s oldschool freestyle below.